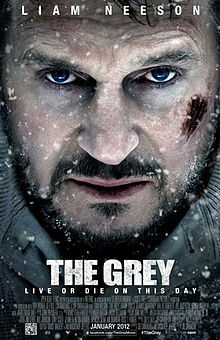 and Liam freaking Neeson, who, in the closing seconds of the trailer, is surrounded by wolves. He tapes a bunch of empty bottles to his left hand and smashes them against a rock. Then he tapes a combat knife to his right. 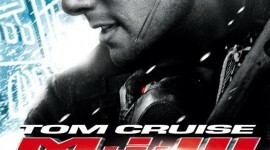 The Alpha wolf lunges forward, then Neeson does the same, and we see the title. I was hooked. 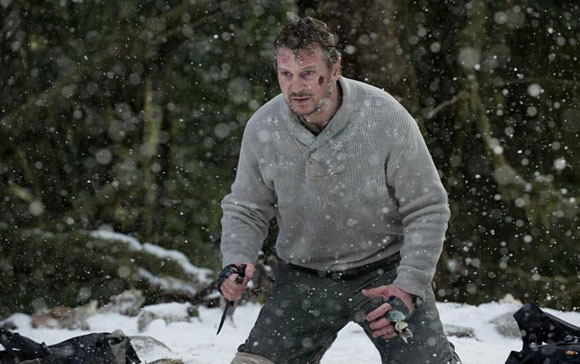 I knew whatever happened in the moments after Neeson charged that wolf, was going to be AWESOME! It was the perfect formula: a primal battle! Brain against brawn! Teeth against tools! What could possibly go wrong? I walked into the theatre thinking I might be about to witness the greatest man vs. beast movie since Jaws. It starts out well enough. 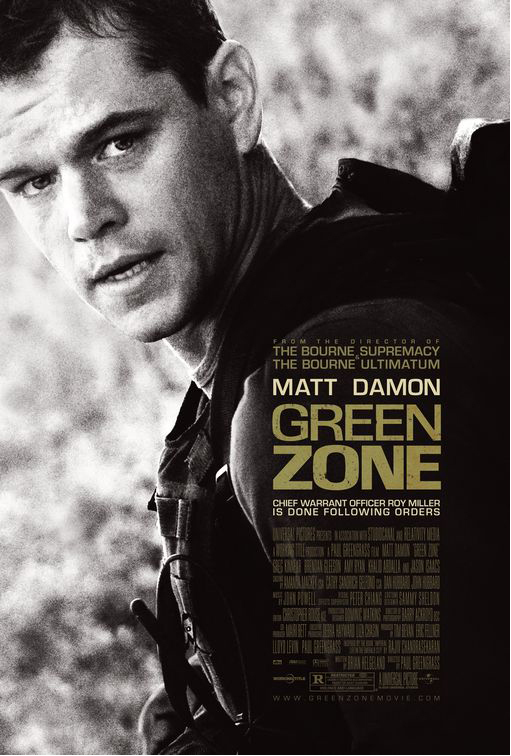 The plane goes down in the subarctic tundra, and John Ottway (Neeson) and six other men crawl from the wreckage. Once they pull themselves out of the shock, they begin to build a fire, make a shelter out of the plane and look for food. Their spirits have begun to lift when their dinner around the fire is interrupted by a howl. They stand up to see a huge wolf just inside the campfire light, and a sea of glittering eyes behind it. After a standoff, the wolves retreat into the darkness. A few hours later, a member of the group gets up and actually walks away from the fire to urinate. After what he’s seen, this makes no sense, but whatever; I guess it’s kind of a movie staple. He dies, of course. The next day, Ottway, the group’s wolf expert , decides that if they can reach a forest some distance away, they could better defend themselves. On the day-long trek through knee-deep snow, they loose one more to the wolves. As night falls, they reach the forest, just as it begins to fill with the dinning and barking of the wolves. They hastily build a fire to keep the wolves at bay, then build four smaller fires to make a perimeter that they can sit inside. Ottway produces five straight branches and five shotgun shells he salvaged from the plane, and begins to instruct the others in making bang sticks to fight the wolves. Alright. Now we’re getting somewhere. Out of nowhere, a wolf jumps on John Diaz (Dallas Roberts), despite the fire. There follows a wild flurry of yelling, thrashing, and a couple of loud bangs, presumably bang sticks, and finally, we see Diaz on top of the wolf, thrusting his knife in and out of it. The thing is, we never really saw the fight with the wolf. So far, we’ve had a lot of great buildup and a lot of great suspense. The movie has created an atmosphere where we can never really relax, and the wolves, even when not seen, are always felt. But we really haven’t seen any good action. But that’s okay, because the climax is going to be awesome. This is where the movie starts to go downhill. Ottway decides for some reason that they have to move, and they go walking through this forest full of wolves in the dark. For some reason, there is never an attack, and they stop at a place where Ottway decides they will be safe. And they build ONE campfire. We’ve already seen how the wolves have become bold enough to enter the circle of fires they made earlier, but all fear of the wolves seems to have flown away for some reason. Even more strangely, the wolves seem to oblige. The next day, the group reaches a canyon and decides to climb across. They manage to attache a rope to a tree on the other side through means very hard to swallow, but whatever, it’s a movie. As the last member of the group (Durmot Mulroney) climbs across, the rope breaks and he swings across, hitting the tree hard and falling to his death. His body is then immediately pounced upon by the wolves, almost as if they were waiting at the base of the tree! Now, how did that happen? How did the wolves climb down one side of the canyon and then up the other? And even then, how did they know exactly where Mulroney was going to fall? And why hadn’t the rest of the group shouted anything to him about wolves at the base of the tree? Why did the wolves magically disappear the night before when it would’ve made sense for them to be attacking, only to reappear in such a ridiculous way here? Let it go. The climax is going to be awesome. The group presses on, as their number continues to dwindle. Strangely, we never hear a word about the bang sticks after that first campfire in the woods. It sounded like they used one or two during the attack at that point, but they have to have some left. The other reason this doesn’t add up is that, shortly after the plane crash, there is a scene where Ottway is attacked by a wolf. It latches onto his leg, and two other survivors run up and apparently beat the wolf to death with bits of the plane. This confirmed my impression from the trailer and set a good tone for the movie: these are tough guys. Some of them have been in prison; all of them have spent months working an oil rig in Alaska. They’re used to these elements. Even in a situation this bad, they would have a fighting chance. But now, every time the wolves show up, all they can think of to do is run. And as anyone who has spent time around dogs knows, as slim as your odds might be fighting a wolf pack, they’re going to be even slimmer running. When am I going to get what I paid for? That’s okay. The climax is going to be awesome. As predicted, Ottway is the last one left alive. Trudging through a clearing with most of his equipment gone, he suddenly finds himself surrounded by wolves. The Alpha advances from the pack. The excitement builds as he empties the contents of a back pack. He kisses a picture of his wife, tapes a bunch of empty bottles to his left hand and smashes them against a rock. Then he tapes a combat knife to his right. Oh, boy, this is it! I couldn’t believe it, but that was the end. There was nothing of that scene in the movie that wasn’t in the trailer. If fact, I got online when we got home and checked out the trailer again. They actually show you a little bit more in the trailer than they do in the film! Talk about false advertising! Where was my glorious man-wolf battle?? CARNAHAN! You lied to me! A few hours later, I read that there was one more scene after the credits, in which we see Ottway and the Alpha, both on the ground. The Alpha is apparently dying; Ottway’s condition is harder to determine. Even if I had stayed for this scene, it would have been small consolation. That only means that Carnahan didn’t consider it a forgone conclusion that Ottway had no chance. So why didn’t I get to see him fight? Anyway, for those of you that are complaining “you spoiled the ending,” I did so because, really, there was no ending. If you’ve seen the trailer, you’ve seen the ending. All of it. I did you a favor, saving you time and money. And for those of you saying “you missed the point. The wolves are a metaphor for death and the story is really about being brave when death is coming for you …” I can understand that. But this is a movie. It’s based in the visual. What is the point of having a story of internal struggle leading up to a physical confrontation, if you’re not going to show the confrontation — especially when it would have been so simple to do! In Jaws, for example, we still have most of the same themes — over coming your fear, a bond that developes between three very different men when they face death together, etc. But we get the pay-off at the end. We get to see what happens. We get to see the symbol of fear and death destroyed. And even if said symbol had won, it would have been a more satisfying ending than that of The Grey. And in any case, if all the movie was trying to do was tell a story about philosophical ideals, why was it sold to me as an action/adventure picture? I can contemplate the meaning of life without buying a ticket, thank you.